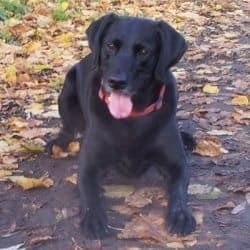 Home PUPPIES	Feeding Your Labrador Puppy: What, How Much, How Often? As we all know too well, what we put in our belly has a huge impact on our health, vitality, length and quality of life. 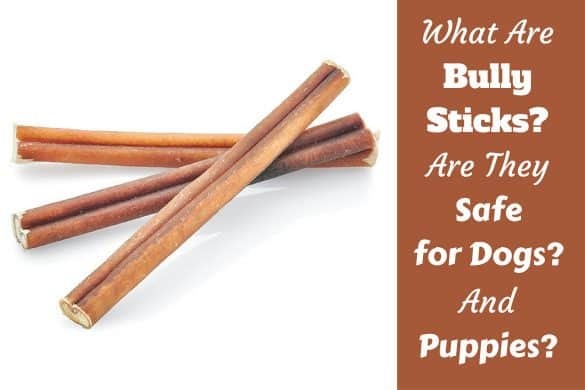 You really are what you eat…and it’s the same for your puppy! But all animals are different and have their own very specific nutritional requirements – you can’t just feed your puppy the same food you eat. Also, animals have different nutritional requirements at different stages of life and it’s particularly important to get it right for the young. They have to strike a fine balance between getting enough nutrients to grow and avoiding an over-abundance that can lead to abnormal growth and disabling conditions. Most people are aware that a lack of nutrition can lead to stunted growth and musculo-skeletal abnormalities, but not everybody is aware that too much of certain things can have the same devastating effects.  In this article you will learn precisely how to feed your puppy. 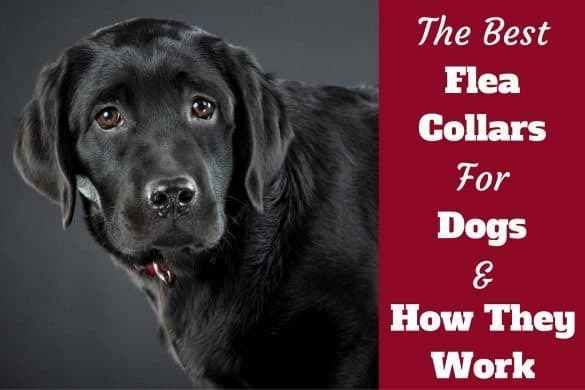 What they can eat, what they should not, how many times you should feed them each day, basic information on home-made diets and the pros and cons of various commercial dog foods. What Do Most Labrador Owners Feed Their Puppy? What To Feed A Puppy? What Can Puppies Eat? Can You Feed Human Food To Puppies? Can You Give Puppies Milk? 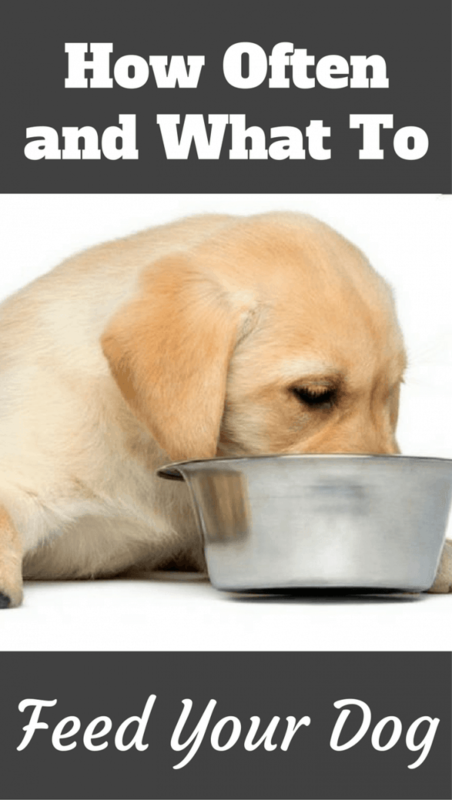 Should You Feed A Puppy Supplements? Are They Necessary? How Much To Feed A Lab Puppy? 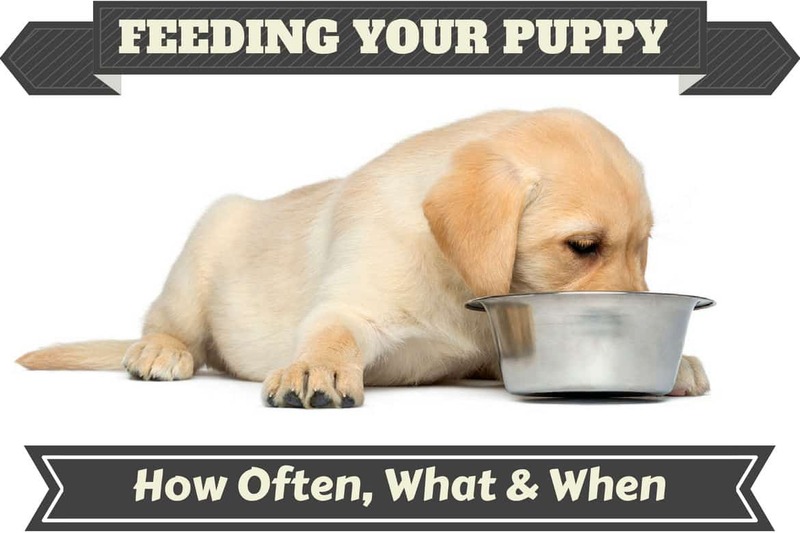 How Often To Feed A Puppy? How Many Times To Feed A Puppy Each Day? 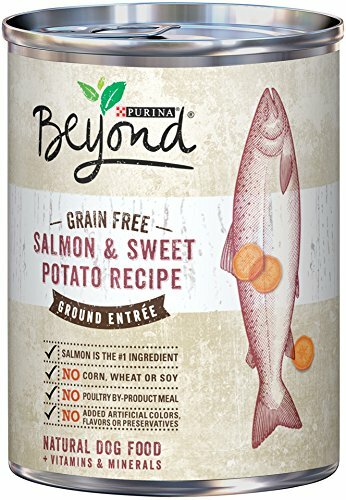 How Long To Feed Puppy Food Before Switching To Adult Dog Food? What Is The Best Puppy Food Brand For Labs? No Diet Is Complete Without Water! The majority of Labrador owners feed their puppy kibble. Kibble is ground meal, shaped into dried biscuit-like pellets that are extremely convenient to buy, store and feed, providing everything a puppy needs in one easy to handle product. All the major brands carry a range of kibble and many are specifically formulated to suit the precise needs of puppies. However, like all things concerning dog food, there is a lot of debate as to whether or not kibble is ‘The Best‘ thing to feed. But there’s no doubting puppies and dogs absolutely do thrive on it. 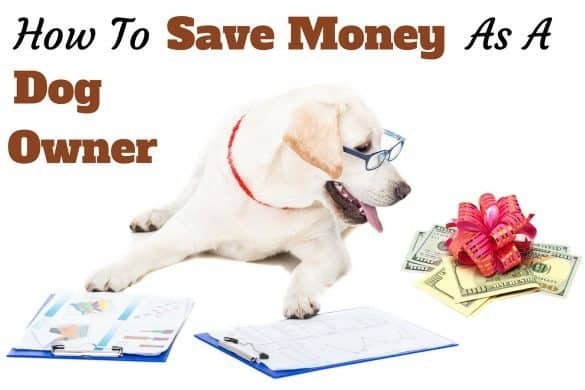 For our recommendations of the best puppy food for labs, please read our article on: The Best Food for Labrador Puppies. If you’re yet to get your puppy, it’s best you ask the breeder what they are feeding and stick to exactly the same food and brand. Good breeders will supply you with all the information you need to feed your new puppy and you should follow this advice. If they don’t offer this, then ask for it. Puppies almost always get upset tummies during a change of diet. The stress of moving to a new home is enough to deal with without them potentially having tummy upset on top. So try to avoid this. If you haven’t been given advice or cannot source the same food the breeder was feeding, your best course of action is to buy some puppy kibble. There are many kibbles aimed at Labrador puppies so you won’t struggle to find something suitable at your local pet store. Simply follow the feeding instructions in the rest of this article and what’s written on the label of the food you’ve purchased and you should do fine. With a bewildering choice of different puppy foods available, what to feed your puppy may not be the easiest decision to make. Let’s take a look at the pros and cons of the many options available so you can make an educated decision. Kibble is ground up food, formed into pellets and dried for easy storage and convenience. 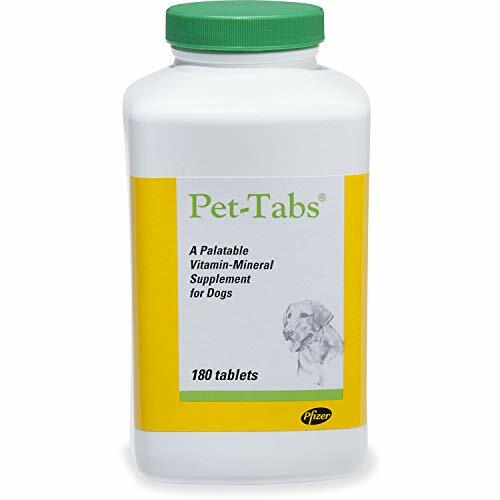 It is a specially formulated, complete and balanced diet, containing everything a puppy needs to grow and be healthy. So if feeding kibble, you shouldn’t feed anything else as this will upset the nutritional balance and possibly do more harm than good. Kibble comes in sacks ranging from 3kg up to 15kg, with 15kg sacks ranging anywhere in price from $30 (or £20) up to $120 (or £75). Many people believe kibble is the best way to feed a puppy, with it being so easy to buy, store and feed while containing every nutrient a puppy needs in the right proportions. It makes taking care of a puppy’s diet extremely easy for an owner to get right. As the name suggests, complete wet food is complete and balanced, meaning nothing should be fed in combination. Everything needed is included in this one food. Many people remember the days of feeding tinned meat mixed with biscuit and assume complete wet food to be the same, but you mustn’t mix it with anything or you’ll upset the nutritional balance and likely over feed your puppy. Complete wet foods come in individual pouches or tins with one pouch or tin containing one single serving. Some dogs described as ‘fussy eaters’ often much prefer the real meaty flavor of wet food…although whether a dog is actually fussy or simply too highly fussed over is another story. You should also be aware that wet food works out to be relatively expensive compared to kibble and isn’t as good for a dogs dental health. 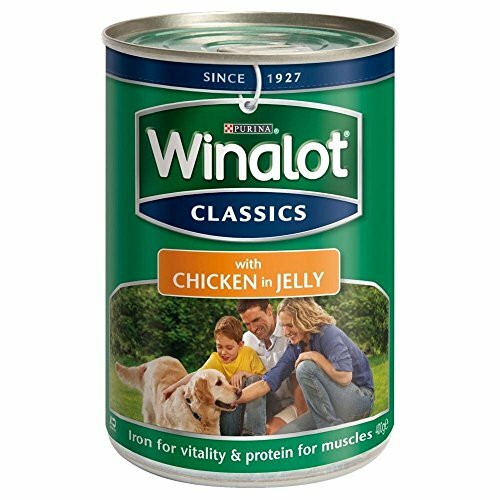 I’m referring to the cheap tins of food such as Pedigree Chum and Winalot that you see on the supermarket shelves. In the main these foods are low in nutrition, contain a high amount of cheap fillers, by-products and water and need mixing with a biscuit to give them some substance and to make them more complete. Because the food is such low quality, you have to feed a lot of it. And what goes in, must come out. So this way of feeding leads to a lot of waste, can make your dog ‘gaseous and smelly’ and really doesn’t help during house training with the frequency they have to eliminate. This type of feeding was popular decades ago and I do remember my parents feeding our first dogs this way, but most people have moved on from this and are feeding their dogs in better ways now. 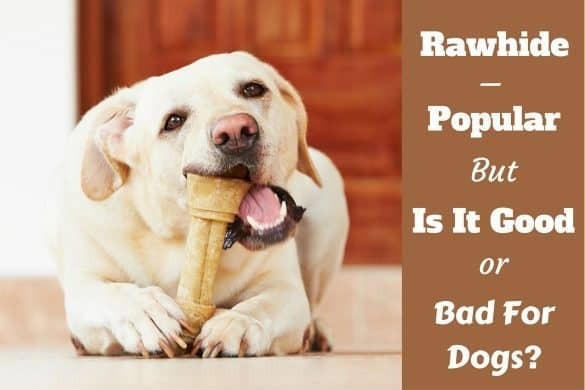 Raw feeding is a diet that consists of mostly raw meat, edible bones and animal organs, though most practitioners also mix in small portions of fruit, veg and selected other foodstuffs. Sometimes described as the BARF diet (Biologically Appropriate Raw Food) the aim is to closely match what a dog would have eaten naturally in the wild. There are many people feel strongly that this is the best possible way to feed a dog. They may well be right and I simply don’t have enough knowledge on the subject to say. But I would caution most people that to feed this diet successfully, you need to do A LOT of research, gain a lot of knowledge and truly understand a dogs nutritional needs to make sure they get exactly what they need in the right amounts. This is particularly important during a puppy’s periods of high growth. Personally I’m yet to research this diet in-depth, don’t feel I have the time to dedicate to the preparation of the food and am more than happy to feed kibble anyway. My dogs have always thrived on it and the convenience can’t be beaten. Many people wonder if they can feed their puppy human foods, anything found in the fridge or larder. Unless you really understand canine nutrition, what’s good, what’s not and what a puppy should eat in what proportions, it’s best you don’t feed them human food at all. Furthermore, there are many human foods that are toxic to dogs that you should avoid at all costs. In a balanced food, all the nutrients are in just the right amounts and if you add human foods on top, you are upsetting this balance. Too much of some nutrients can be bad in itself, but also prevent the absorption and use of other nutrients too. So supplementing a balanced diet is a bad thing to do. Assuming you get your puppy at the recommended 8 weeks, they will have been fully weaned before you bring them home. They will now be eating solid foods and there’s no need to feed them milk. But not only is there no need, it’s also not a good idea. Many puppies are intolerant of cows milk and drinking it leads to an upset tummy and diarrhea so you would do best to avoid giving your puppy any milk at all. You will likely be feeding your puppy a commercially available complete and balanced dog food, in which case you certainly should not supplement their food. The ‘complete and balanced’ description means it has everything in the right amounts. Supplementing this will mean too much of one or more things, making it unbalanced which can actually lead to harm. 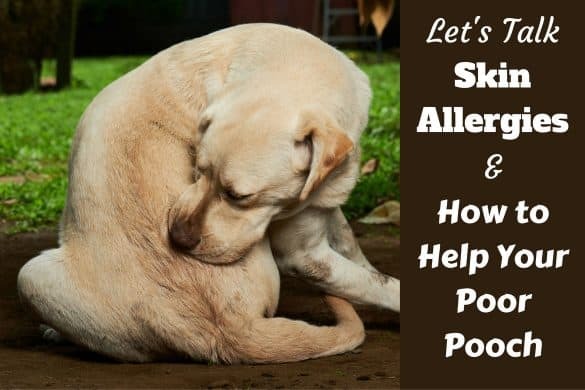 One of the most common examples with Labrador’s is people hear the risks of hip dysplasia, arthritis and other joint problems, think that calcium is good for strong and healthy bones and then supplement with calcium. But an excess amount of calcium in the diet of a Lab puppy can lead to skeletal development problems. So adding a calcium supplement to an already complete diet can actually do more harm than good. There are many more examples besides, so generally speaking you shouldn’t supplement your puppy’s food. However, if you’re feeding your puppy a home-made, raw food diet, you might need to add supplements occasionally to make sure they get everything they need. There may also be times your vet advises you to do so. But if feeding raw, you should know more about nutrition than I do. And it’s a dead cert that a vet does. Otherwise though, it’s best to stay away from supplements. This is a hard question to answer and sadly I cannot give you a definite quantity or weight to feed them each day. The biggest determining factor is how concentrated the nutrients and calories are in the brand of food you feed them. High quality foods are nutrient rich and give a puppy all they need from quite small amounts of food. But cheaper brands are full of low quality and nutritionally empty fillers that mean a puppy needs considerably more to get what they need. Start by feeding your puppy according to the guidelines on the label of the puppy food you buy for them. Then see how their body develops. Puppies should not be fat! When they’re as young as just 12 weeks, they should already have a definite waist and if they don’t, if they are looking overweight, cut down slightly on how much you feed them. But at the other end of the scale if they start to look and feel a little slim, up their portion sizes a little. The guidelines on the food you buy are just that…guidelines. They aren’t to be followed strictly, they’re a starting point and you should feed more or less if your puppy starts to get fat or thin if you’re to keep them in the best condition. Feeding a puppy too much food in one go is a common cause of tummy upset and diarrhea. To avoid this you must split their daily intake into a few smaller meals spread throughout the day. This makes each meal easier to digest, your puppy gets more goodness from each meal and keeps their digestive system running smoothly, while ensuring a steady and stable flow of energy throughout the day instead of peaks and troughs. For ‘large breed’ puppies, the advice is for under 3 months feed them 4 times each day, for 3 to 6 months old, feed them 3 times each day, and at 6 months and older you can feed them just twice each day. You should space these meals out evenly: 3 hours apart for 4 meals, 4 hours apart for 3 meals and 6 to 7 hours apart for 2 meals. Avoid feeding your puppy in the 3 hours leading up to bed time so they don’t feel the need to potty during the night, waking you up to do so. 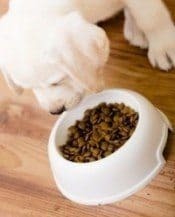 If your puppy regularly has soft stools or diarrhea, feeding them a higher number of smaller meals instead of fewer large meals can sometimes help. Certainly give it a try. Some people put a meal out for their puppy and then leave the bowl down all day until it’s time to add the next meal. In the mean time their puppy is able to just pick at their food as and when they wish throughout the day. This can make house training difficult because a puppy that eats at random times will poop at random times, whereas if they eat the same times every day they will poop the same times every day and you can make sure they’re at their toilet spot. So it’s a good idea to feed your puppy at the same times and for a fixed time only each day. Decide on their meal times and when you give them their food, allow 10 to 15 minutes for them to eat it and then take the bowl away. What they’ve not eaten they simply miss out on. This teaches them to eat up what they need instead of trying to being picky and choosy, while keeping their bodies ‘regular’ and making house training a little easier. Like most things concerning dog food, if you ask when to stop feeding puppy food you’ll be met with many different answers depending on who you ask. Don’t you sometimes wish everybody could just agree? The best advice I can give is: How long you feed puppy food before changing to adult dog food should ultimately be decided by your individual puppy’s growth. The recommended time to switch is when your puppy has grown to adult height. Not when they’ve fully matured which can be much later, but when they’ve grown to adult height. For small breeds this can be as early as 8 to 10 months, for medium breeds it’s some time between 10 and 16 months, for giant breeds it can be as long as 2 years! However, like most things these are only guidelines. For a Labrador puppy, I’ve seen some people switch at 6 months, food labels that say 12 months, and articles and forum answers that say wait until 18 months old. What’s clear though is nobody switches before 6 months of age, though most people will switch before 12 months old. Switching before 6 months is certainly ill-advised. Your puppy needs the higher calorie and nutrient dense food to fuel them during growth spurts. Switching anytime after 6 months though will almost certainly have no ill effects as long as you keep them at a healthy weight. So switching anywhere between 6 and 12 months is good and ideally you should let your puppies growth decide. If you’re unsure, as always your vet will have the best advice for your individual puppy. With so many brands available…and there are at least many hundreds…it’s very difficult to single out one particular brand to recommend. For the first couple of weeks after bringing your puppy home, my advice is to ask the breeder what they feed their puppies and continue feeding this. Then if you do wish to change, look for a high quality, complete and nutritionally balanced food, staying away from the cheapest brands. Although the quality brands may seem drastically more expensive, it’s never as bad as you think. Weight for weight, quality food costs more but because it’s so much higher in nutrition, portion sizes are considerably smaller so you get many more meals per sack. So when comparing foods, look at the price per portion, not a weight for weight comparison. Cheap foods are low quality and you need to feed more of it which can soon mean the gap in real term prices all but disappears. If you wish to change the food you give your puppy or the time comes to switch from puppy to adult food, it’s important you do so slowly over the course of a week or more. If you instantly switch, there’s an extremely high chance your puppy will suffer an extreme digestive upset leading to stress and diarrhea. Even switching slowly you should still expect some tummy upset, but it will be considerably less severe. So start by mixing a small amount of the new food with the old, then over the next few days, increase the ratio of new food to old by about 10% to 15% each day until finally, 7 to 10 days later a complete switch has been made. It’s important to mix the two at each meal, not one food type in the morning and the other in the evening, you need to mix the two for each meal, gradually switching over the course of 7 days or more. There should be a clean, fresh bowl of water available for your puppy at all times, allowing them to help and regulate their intake themselves. How much they need will vary depending on the heat, their recent activity levels and their diet (a puppy eating dry kibble needs more water than if eating wet food) and it’s rare for a puppy to drink to excess. So let them decide. However, though water should always be available you should monitor their intake because both drinking too much and drinking too little can be a sign of medical issues. If you see a dramatic change in the amount of water they drink that cannot be explained by dramatic changes in exercise levels or temperature, you would be wise to consult a vet. Also, it’s good advice to take away their water up to 2 hours before bed to help with your house training. This enables you to take them to potty before bed and know they’ll be empty and can make it through the night without needing to wee. Either kibble or a home-made raw-food diet are the best ways to feed your puppy. It’s still hotly debated but might be true that raw feeding is the best possible and most natural way of feeding, but it requires a lot of specialist knowledge and time to prepare meals. 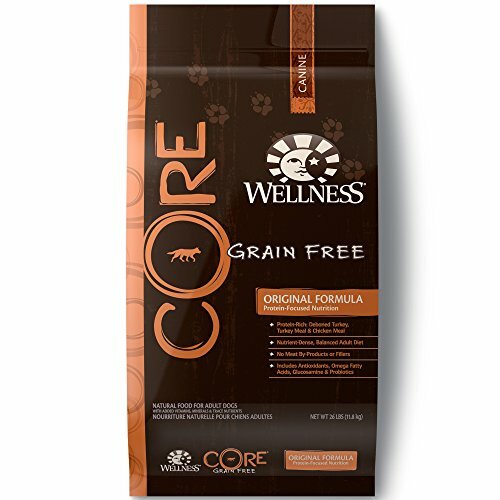 However, dogs thrive on kibble, it has everything they need and is extremely easy and convenient for an owner. Personally I feed kibble myself. Choosing a brand and how much to pay is a very common question and it has to be said you do get what you pay for. However, you shouldn’t feel pressured into buying the most expensive brands, just stay away from the lowest quality and cheapest. There are many medium priced kibbles made from good quality ingredients you can choose from and be confident that you’re providing well for your puppy. The age to switch from puppy food to adult food should really be decided by your puppy’s growth. When they are close to full adult height is best. Don’t switch before 6 months, but really, anytime after is OK and you don’t have to wait until 12 months old as written on most labels. If you decide to change brand keep in mind that you should do so slowly over 7 days or more. And you should expect at least some tummy upset and loose stools for up to 2 weeks. This is perfectly normal. As a final word: There’s not only raw food and kibble, there’s also wet foods, tinned and some specialist diets to consider. Ultimately, what you feed is your decision and you should pick what best suits you, your puppy and your wallet. Whomever you talk to and wherever you ask, you’ll meet with different opinions at every turn. From trainers, vets, breeders and other experienced owners, everybody has their own advice and favorite brands with two people rarely agreeing. Just find something that works for you, that your puppy thrives on, and then stick to it. Finally, please click here to see our article reviewing the best 4 puppy foods for labs. When To Start Training A Puppy? What Age Can You Begin? Regarding not listening, she’s effectively ‘a teenager’, they go through this stage of pushing the boundaries and perhaps getting a bit hormonal and testing things out like we do at that stage of life. Just carry on being firm, but happy and positive, continuing with your training and keeping it fun. She should settle down again. I have a Labrador. 3 month old. last 1 month itching problem has been started at neck region. rash on the skin. hi-tech and other medicine are injected. itching on the legs are recover but the neck region is newly form. what should i do? what is the reason behind it? You should speak to your vet and only to your vet. You may get incorrect advice by asking on the web and might treatments that can make things worse. Please speak to your vet. My 8 month old Chocolate has done LOTS of damage to the trim and siding on my house the past few months (with his teeth), which will cost plenty to fix some day, but will he ever stop doing this chewing so I can get it repaired without a repeat of this issue ?! He also has messed up some of the bottom of my chain link fence with his teeth AND pulled most of the bottom 6 to 8 feet of bark off my cedar trees !! Enough to where he got sap from the tree all over his hair, which is very hard to get off without cutting it off !!!! HELP !!!! The $$$$ is/has been adding up FAST for repairs….Cha-Ching,Cha-Ching !!!!!!! !Please E-mail me also, if you can help !!!! 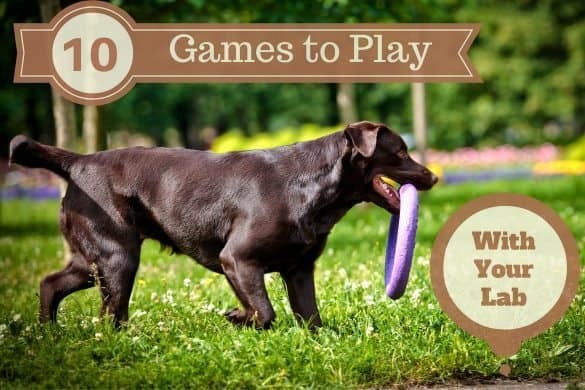 You should try playing with your dog. Don’t just throw him/her outside and leave them alone. A lazy dog owner deserves the costly repairs that happen to them. Hi , I have a 40 days Labrador its weight is 2 kgs, I need some information about feeding . what is the quantity of milk i should feed and how many times. Can we mix cerelac into it ? Hi Rakesh, 40 days is very young for a puppy, they should really still be with their mother. Please speak to your vet and ask for advice to make sue you aren’t given incorrect info. My lab pup has always been getting three meals a day: 6 am, noon, and 6 pm. According to his vet. he couldn’t be healthier or look better.